A solvent free, white version of the original Pinkgrip. It has all the unique benefits of Pinkgrip and will stick just about anything on a building site without the need for under pinning, thanks to the product's no-slump formula. 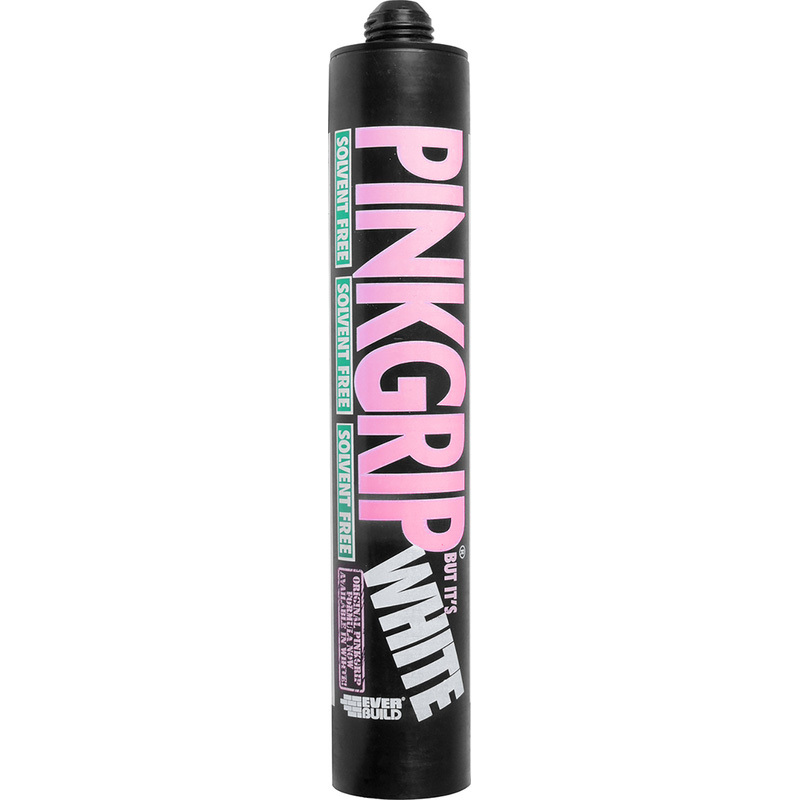 Pinkgrip But It's White Solvent Free Adhesive 350ml is rated 4.4 out of 5 by 28. Rated 5 out of 5 by Teacake from My preferred grab adhesive Used a few times now and this is my preferred grab adhesive. Great for sticking architraves and skirtings. After use put a bit of insulating tape over the nozzle and it doesn't dry out. Great product. Rated 4 out of 5 by DaveL from Easy to use product I have used this many times, and found it ideal for gap filling and adhesion work. Unfortunately the last batch I received did not receive nozzles, which was a bit annoying, although Toolstation did supply spares, when asked. Rated 4 out of 5 by Mystery man from Stuck up Used this product for the first time to secure bathroom wallboards. Chosen for its low odour or solvent free blend ( as "the BOSS"suffers with athsma) it proved to dispense easily and adhere well. Rated 1 out of 5 by Pazza1 from Not good Not a patch on the original pink grip will definitely stick with the original.